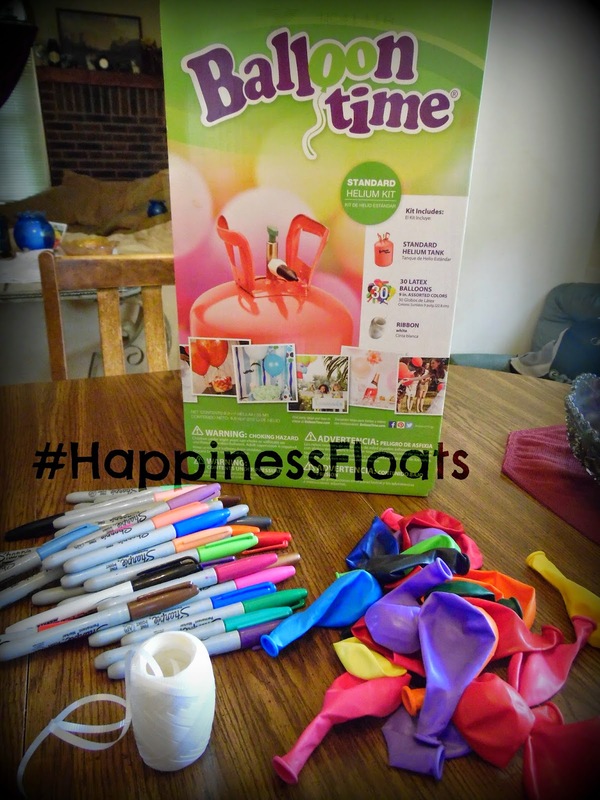 This post is brought to you by Balloon Time as part of their #HappinessFloats campaign. 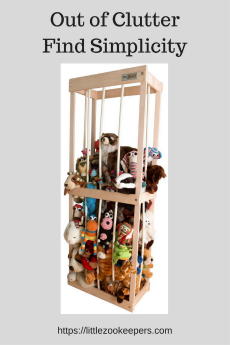 Our little corner of the world has been invaded a viral bug that has systematically wiped out a family member per day for the past week....then the rainy weather moved in. 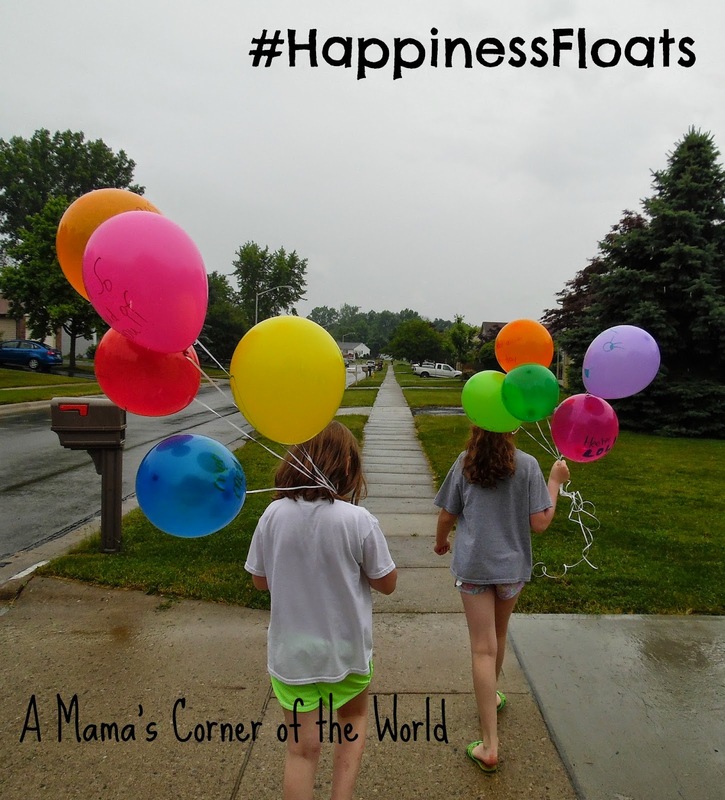 We needed a few smiles yesterday, so the girls and I (in spite of the rain) embarked on a #HappinessFloats mission to share a few balloon inspired smiles with friends and neighbors. 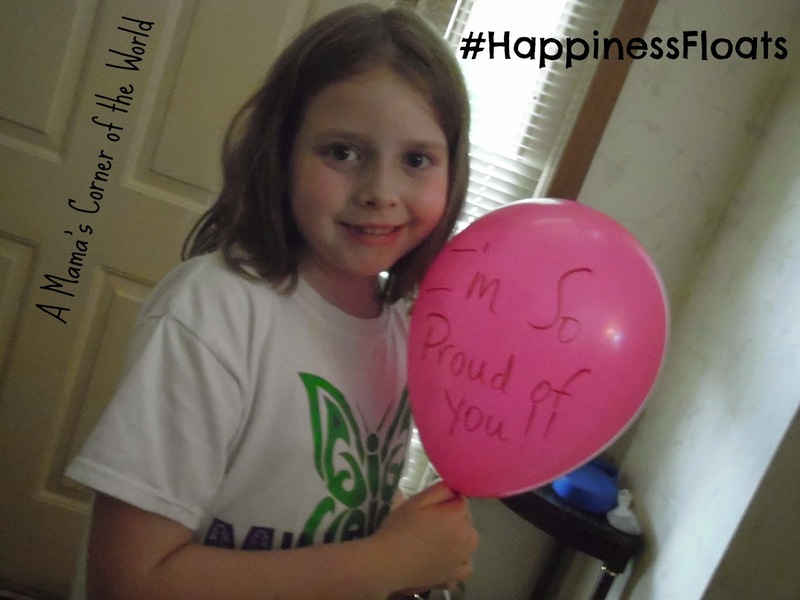 It is truly amazing how much happiness a simple, helium filled balloon with handwritten words and pictures brings! 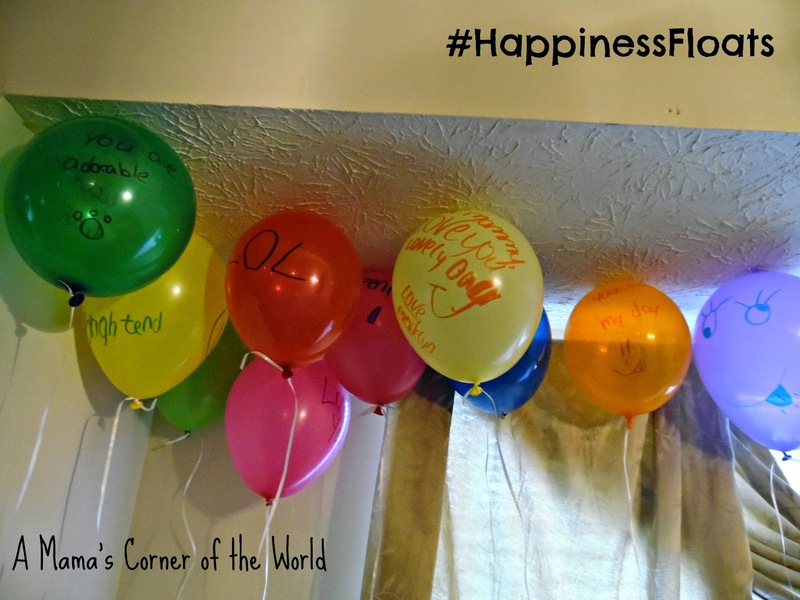 What is #HappinessFloats? I was asked to help spread the joy of balloons--and floating happiness--when Balloon Time took #HappinessFloats to Columbus Commons recently. Columbus Commons is a wonderful spot in the city where family friendly activities literally come to life throughout the year. It was the perfect spot for #HappinessFloats and Balloon Time to share some balloon inspired smiles over Memorial Day Weekend. 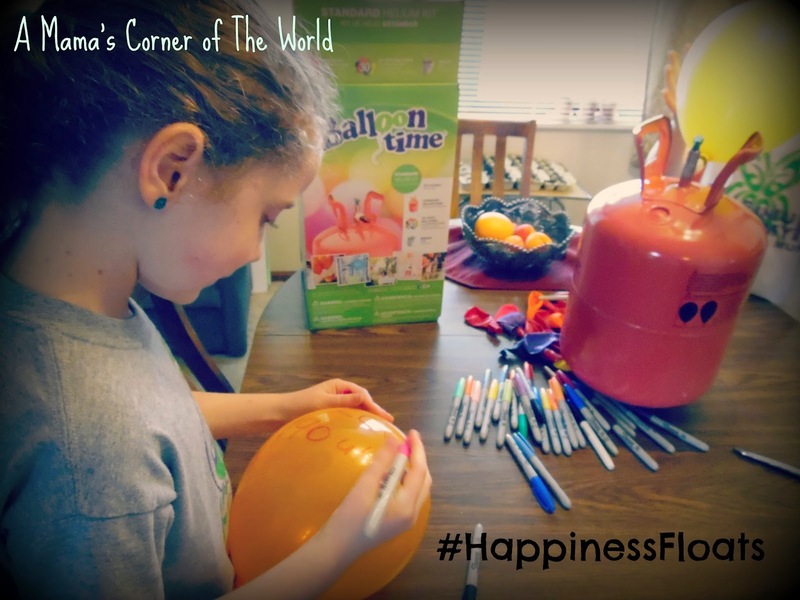 It was time to bring #HappinessFloats to our little corner of the world! I was tasked with spreading the joy of simply giving four balloons to three special people in my life--and then saving one message-covered balloon for myself. We all need a little balloon inspired happiness, right? Armed with a Balloon Time helium tank, colorful balloons, markers, and ribbon--I was ready to bring smiles. While the pictures reflect how dark and dreary the house was--they certainly caught the brightening of the smiles! It didn't take long for Macy and Madelyn to jump right into the fun! 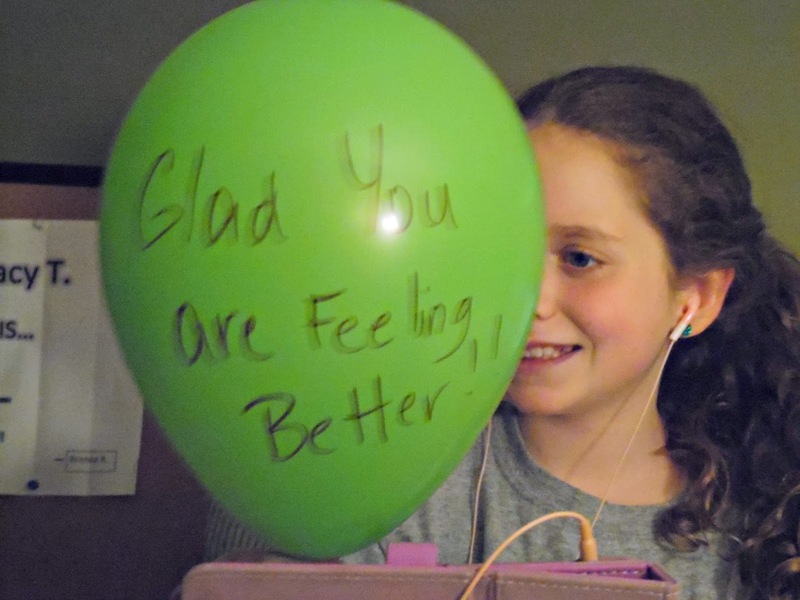 While it's great to receive balloons--it is even better to give them and brighten someone's day! It was impossible to stop with only three! 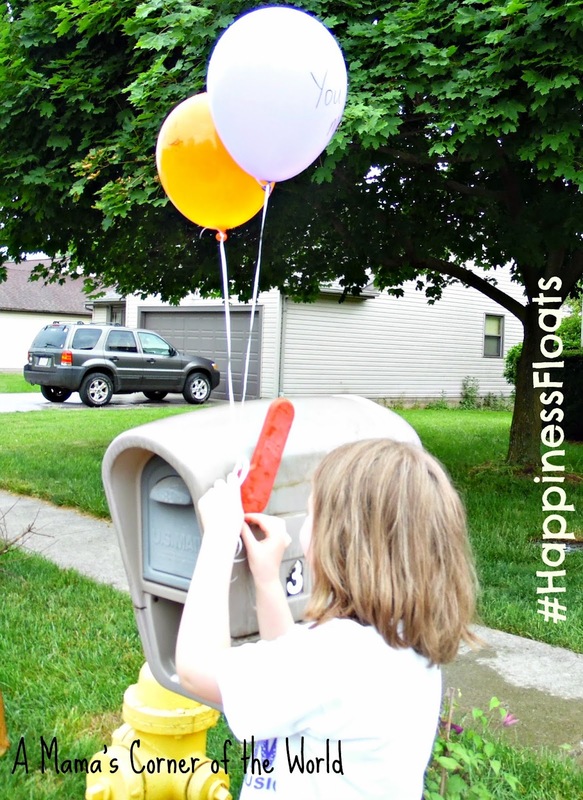 It was time to deliver some smiles to the neighbors! We caught a break in the rain and off we went! 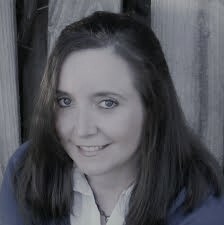 Even smiles from strangers in passing cars watching the girls skipping through puddles with bunches of balloons. What did my personal balloon say? Life is Good. Share the Smiles. Today, since the sun is finally shining, the girls are planning to share some balloons at the park. 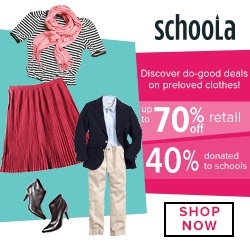 The smiles are contagious--and the joy of giving is a little addictive! Happiness really does float--give it a try over these long summer days! Sometimes we forget how something simple can mean so much! Disclosure: We received a Balloon Time kit for use in this post. The experiences and the smiles are our own.